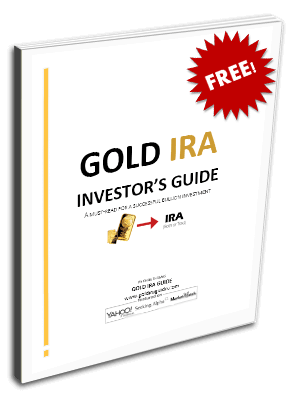 Everyone loves getting a bargain, and so I’ve got great news for you — right now for a limited time you can actually buy gold at a deeply discounted price. Gold is on sale at deep discounts right now. Believe it or not you can buy gold for around $11/oz. Before I tell you where you can get it, you should know that you have competition. Your competition is well-financed, intelligent groups of professionals who focus on a finding gold at a discount every day of the week. They’re called gold exploration companies. Gold exploration companies hire the smartest geologists, surveyors, and managers to help them locate and capitalize on cheap gold deposits. They often have bankrolls of tens of millions of dollars to spur their efforts. And if anyone in the world is going to find gold at a steep, steep discount, it’s going to be them. However, right now there’s an incredibly rare situation where you can take a position in gold at such a ridiculous discount that even gold exploration companies can’t compete. You see, the cheapest gold in the world right now is not located on some unsuspecting Ecuadorian farmer’s ranch. The cheapest gold in the world can be found in the business section of your local newspaper. And in the Wall Street Journal. That’s because the cheapest gold on the planet can be had by buying stock in the most bombed-out sector of the stock market – the gold stocks. There is no other way to buy gold this cheap – anywhere in the world. You don’t need to go explore the Rocky Mountains or trek down to Columbia in order to find the mother lode. In fact, there are a plethora of attractive companies, since the average junior-mining company is trading around $30 for an ounce of gold in the ground reserves. Several of these companies have been taken over for north of $125/oz. But I want to recommend a safer, cheaper stock that can make you the proud owner of gold at $11/oz. That company is Seabridge Gold (SA). In the current environment of dirt-cheap gold stocks, Seabridge Gold (SA) is the cheapest around. The company has two primary mining projects in Canada. It's sitting on a mountain of 39 million ounces of proven and probable gold reserves, 214 million ounces of silver, and over 10 billion pounds of copper. That's more than $50 billion worth of reserves… Yet Seabridge's entire market capitalization is just $400 million. Based just on the value of its gold reserves, buying shares of Seabridge Gold here at $8 per share is like buying gold for just $11 per ounce. It just doesn't get any cheaper than that. You see, Seabridge is an exploration gold company. It searches for gold, then partners up with a gold miner to do the mining grunt work. And at such a ridiculously cheap valuation, there shouldn't be any shortage of partners. If Seabridge stock were at $25 per share, Seabridge would still only be valued at only $1.2 billion. That's still less than $30 per ounce of gold reserves. And that’s not even counting the $4 billion of silver it owns or the $2 billion worth of copper. Seabridge has no debt and it has $10 million in cash on its balance sheet. Both its gold properties are located in Canada, so you don’t have to worry about political instability or government confiscation. In short, Seabridge is a screaming bargain at $8 per share. It won’t take long for larger mining companies to notice, as this stock is a prime takeover target. If you were in the business of exploring or mining gold and had tens of millions of dollars to spend, would you want to spend that pile of cash evaluating massive tracts of inaccessible land hoping to find a mother lode? Or would you rather pick up the phone and call an institutional broker to buy shares of a public company that already has proven reserves selling for a massive discount? The answer is clear, and in time Seabridge and others will be taken out because the cheapest gold on the planet resides on the stock exchanges, not in the ground. This makes them prime takeover targets, and they’ll likely give you returns in the hundreds of percent.